Boiled chicken is a great option. With boiled chicken, it is very low fat, bland and easy on the stomach. This option is great for cats that are having stomach problems or diarrhea. With the chicken, you know exactly what’s in the food you are giving your beloved cat. This is critical, as so many commercial cat foods contain a huge amount of different ingredients including by-products and cheap fillers. Also consider steamed fish. Salmon, tuna and trout are good options, but make sure to remove all bones first and flake the fish as well. Basically, any single protein meal would be a good option. What is often difficult for cats to digest is dry, store bought cat food which is harder on their stomach. If you can afford them, there are high grade cat foods that are available in your grocery store, pet store or through your veterinarian. These foods generally contain no grains and no by-products of any kind. In addition, they are usually made with a very high percentage of meat. These high grade foods are generally easier to digest than cheap food brands. Nowadays, there are many brands of cat foods that are made for different illnesses or conditions and with natural ingredients. Some brands include Nature’s Recipe, Natural Balance and Nature’s Variety. These natural brands usually don’t include as many fillers and cheap by-products and may be easier for your cat to digest. In fact, Nature’s Recipe makes a specific line of foods called Nature’s Recipe Easy to Digest, which is available in a number of flavors, including fish & potato, chicken, rice & barley and lamb, rice & barley. There are specialty cat foods available that are specifically made for sensitive stomachs. Some brands to consider include Friskies Special Diet, Blue Buffalo Basics, Royal Canin Digest Sensitive and Iams ProActive Health Digestive Care. Hill’s Science Diet makes a number of different types of foods specifically for different ailments, ages and conditions. 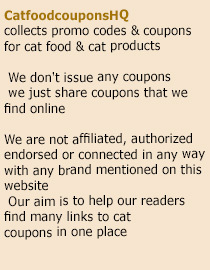 For example, they offer food for hairball control, oral care, senior care, sensitive skin and many others. What wet cat foods with no animal byproducts, glutin free and no soy. Cat has history of urinary problems. Food has to have a lot of flavor and moisture. my cat likes Blue Buffalo Wild Delights. have you tried it?